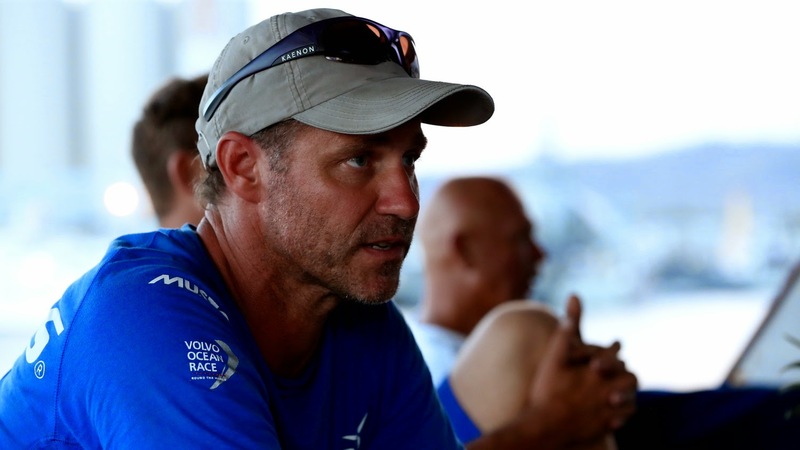 Neil Cox has been Chris Nicholson’s shore manager for two Volvo Ocean Races before they entered their third one together with Team Vestas Wind. 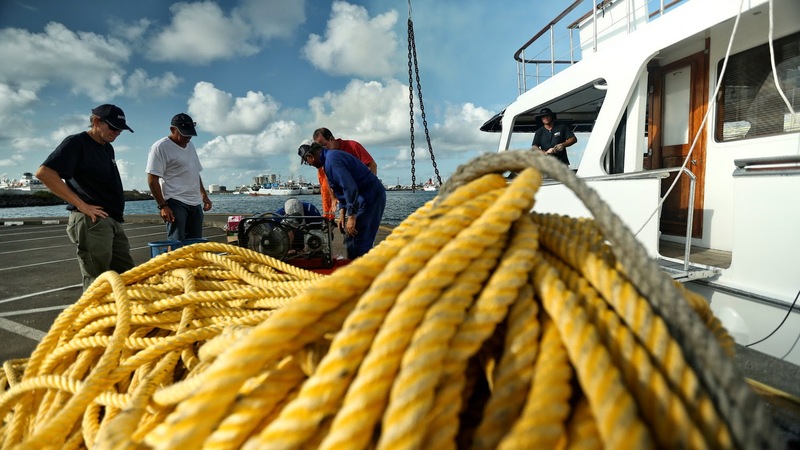 But the Aussie expert had never, ever been in the situation he is in now – heading to a remote Indian Ocean reef to recover the blue Volvo Ocean 65 after it ran aground in the middle of the second leg, on November 29. “The ultimate plan, the gold-medal prize we’re reaching for, is to get the boat buoyant enough to float it across the lagoon to get it into more protected water,” explains Neil, or Coxy, as everybody calls him. Chris, the skipper, joined him in Mauritius yesterday evening. 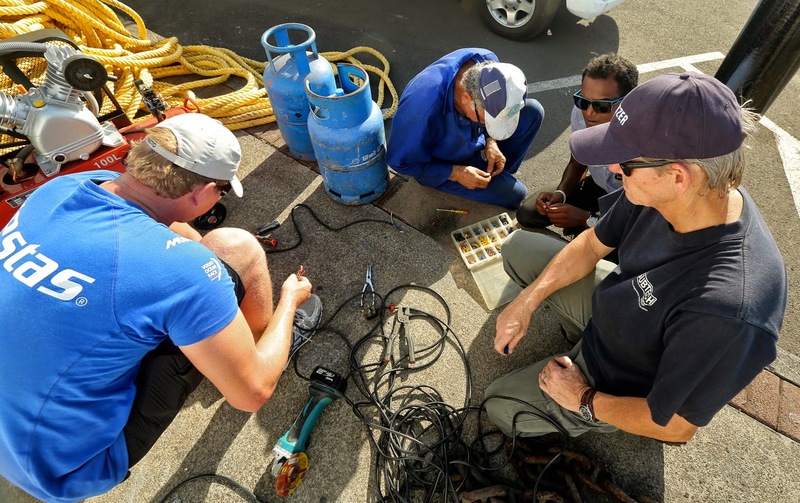 They’ve set up the recovery operation in Port Louis, liaising with local resources, chartering a boat they’ll use as a mother ship, getting all the necessary tools through customs and the permits to go back to the Saint Brandon archipelago. In the meantime, the Île du Sud inhabitants have maintained a watch on the boat, and sent some photos with the supply boat two days ago. It appears that the boat hasn’t moved much. Coxy and Chris are now sailing to the location along with their shore crew Tom Kiff plus two local guys, five recovery people from Durban, South Africa, and a cameraman. “The rest of the team offered to come and help,” adds Coxy, “but there is nothing out there so you cannot take a whole work force with you because you cannot provide enough water or power for everyone. “We’ll base ourselves on this mother ship, on the inside of the lagoon. It’s on the leeward side of the reef and two and half miles away from the boat. The ship has the facilities for us to live onboard, because there is no way for us to stay on the island. We’ve also chartered local fishing boats to cross the lagoon everyday. 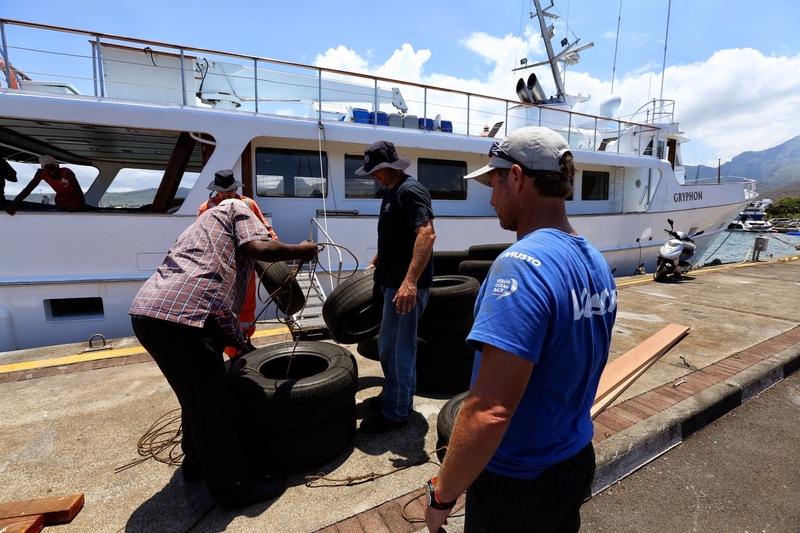 Coxy, Chris and Team Vestas Wind have a plan, and a strong will to get the boat off the reef. But there are a lot of difficult factors to take into account. “We want to bring as much of the boat back as possible,” asserts Coxy. “If anything can be recycled or used for a potential new boat, we have to do everything in our power to make that happen. Istioselida Interview's Neil Cox: "At the end of the day there is no boat you can't break… it's just as simple as that..."